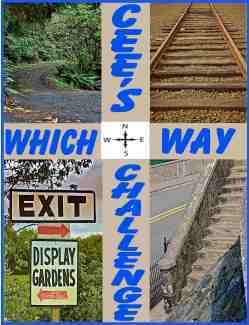 I’ve come across a fun participatory photo blog called ‘Cee’s Which Way Challenge’, where the challenge is to post a photo with a directional subject – roads, bridges, walkways, paths, etc. Here’s my first contribution. This is one of my favourite all-time photos. I took it in Botswana in 2007 on my very first safari. It was a mobile camping safari visiting 4 camps in 4 different parts of the country. 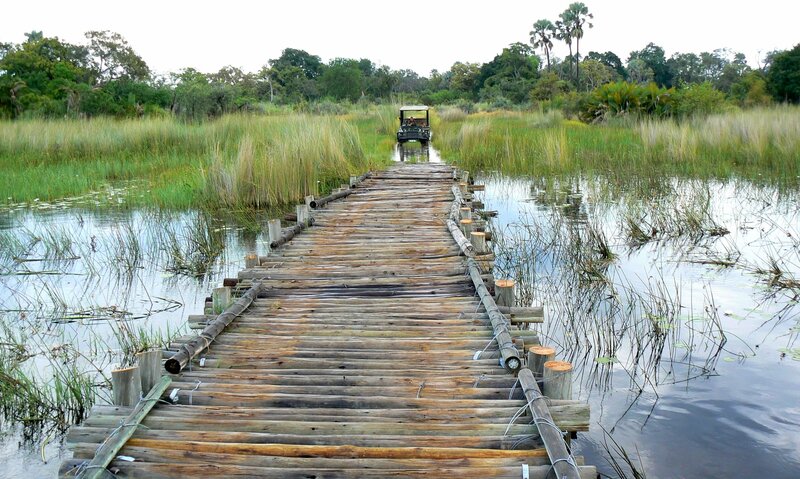 Our first camp was located in the Okavango Delta, a world-famous wetland that we’d gone specifically to see. The Delta is formed by the Okavango River draining directly into the hot, dry sands of the Kalahari Desert. These waters, unlike with most rivers, never reach the ocean, instead spreading across the sands and forming a permanent wetland around islands created by the higher spots. The waters fluctuate seasonally, with the biggest influx of water taking place in spring as the January & February rains in Angola swell the river waters and wash about 1,200 km southeast into Botswana. Doing a safari in the Delta is an adventure! Some of the islands are fairly large and dry, with deep sandy roads weaving between towering termite mounds, tall date palms and short wide fan palms, and the pungent salty scent of wild sage. Others may be tiny islands just big enough to land on if you’re out on a mokoro ride (a dugout canoe that has long been a traditional form of transportation in the Delta). There are bridges across the shallower waters between some of the islands, like the one in this photo. It was close to being flooded over, though – the approach to the bridge was already swamped. I took a shot out the back of the safari vehicle as another vehicle approached to give perspective – if Indiana Jones had ever visited southern Africa, this log bridge should have been in the movie! The cold winter months here in southern Ontario always make me long for exotic, warm places! I can see why this is a favorite photo. It’s super wonderful!!! I’m glad you found my challenge. Look forward to more of your entries!